Season 5 keeps getting better. The premiere night (5x01 & 5x02) to me were disappointing content-poor episodes whose only purpose was to bridge loose ends from the Season 4 finale in order to set up the chess pieces for the rest of the season's plotline: a slog-through pair of episodes, but an expected one. However, with 5x03 Jughead, the Lost story machine finally got some air and began to move. And last night it just kept going strong with 5x04's The Little Prince. It was so good that now I actually have the improbable hope that things will continue to get better, and revelatory bombshells will continue to get bigger and more frequent as the season goes on. Before watching the ep, we knew the title, The Little Prince, and that gave me two guesses: 1) it was about Aaron, or 2) because it's also the title of a famous picture book by French author Antoine de Saint-Exupéry, the episode was going to go French on us. It turned out to be both. Off Island, the slow unraveling of the convoluted relationships of the O6 and Ben was interesting to watch-- everyone has a hidden agenda, and as the writers face the 2 season series deadline, these hidden agendas are often not hidden long. But let's not do a play-by-play summary of the episode. Here's what I noticed. Music. Now I am usually not a huge fan of Jack(face)'s emotional scenes. However, Jack's reunion with Kate at her car window really seemed real for me. Good job Evvy and Foxy for that scene. Later, the Giacchino music harked back to the snake-in-a-mailbox scene when the flashforward device was first unveiled... in the dark scene when Jack & Kate pull up to the marina to meet Ben & Sayid had the same music, and it brought me back to those emotions in the deep "wtf-scarred" regions of my brain. Back to the island-bound, when the Losties are marching, I'm glad Giacchino didn't reprise his corny "march" music, first used in the trek to the Radio tower with Naomi from TTLG. But more importantly, music might be a clue: is it my imagination or did I hear a new musical theme when Juliet was talking (rather sweetly) with Sawyer? Go back and take a listen, and when the next episodes air, keep an ear out for this theme when Juliet appears. Is it her new theme and a clue, or is it some old theme I had never noticed before? Giacchino doesn't have a history of composing one-shot themes, so I'll have to go back and take a listen to her bedroom scene with Goodwin, to see if last night was the start of something new for Juliet's storyline. Enough of musical analysis. My gut feelings toward the characters are also changing. Miles has always struck me as a poor combination of Ana-Lucia and Sawyer-- a cynical, cold, unpleasant character with some darkly funny nicknames and one-liners. I didn't initially like him, much like Ana-Lucia, but this episode, I started to like him more. Is it just habituation, or are the writers gradually making him more likable? The one-liner about his own nosebleed was the turning point last night. I also remember that I really began to like both Ana-Lucia and Shannon for the first time, in the very episode in which they were each killed off-- I hope the writers make Miles more sympathetic without killing him off. Only time will tell. BTW the order of the nosebleeds was: Charlotte, Miles, Juliet. I'm sure you can make of that what I did, especially after Daniel's comment to Miles. Finally the French. I love it. The storm looked great. Jin looked cooked. I just about screamed when I heard "Montand!" amid the stormy ocean scene; I wonder which arm it will be. If you don't know what I'm talking about, go re-read the Exodus Pt 1 (Season 1 finale) transcript. The dripping violin case was a classic touch. 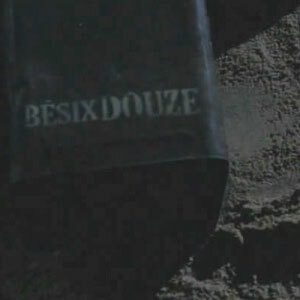 In case you didn't see it, their boat was the Besixdouze (aka B612 in French), the asteroid home of the protagonist in the Saint-Exupéry's book "The Little Prince". Of note, there is a real life asteroid named after it known as 46610 Bésixdouze. More interestingly, read about the The B612 Foundation, which is a project that aims to alter the orbits of asteroids, to learn how to protect Earth from collisions. Just saving the world. Last but not least, some minor kudos and quibbles about an otherwise very enjoyable episode. 1) The cinematography of the island scenes got a refresh-- I seemed to notice some new vistas (or at least some new angles). 2) Jack's shave. If you've ever shaved a mustache or a beard off, you know the skin underneath looks weak and pale from being suddenly exposed. Jack didn't look like that at all with an even cheeky tan and even sported some whiskered sideburns. 3) Props to the props department for not having any mis-spellings in the hospital signage this time. Remember Magnetic Resonance Imagining in Born to Run? 4) Danielle's husband is Robert, or is it the French Row-bear? Montand said it the Anglo way, and Danielle said it the French way. Which is it? Is there an explanation or is it just a script supervisor fail? BTW I can't wait to watch the arm go. 5) Hurley doesn't eat like a pig this episode, bravo to the writing team for avoiding that crutch. 6) Finally, the clue about Ajira Airways makes it into an episode. But what does it mean? And does Juliet have a flashback coming on the Indian subcontinent? We were right and wrong about the new musical theme. We thought it was a Juliet theme, because it played when Sawyer told Juliet about seeing Kate & Claire in a flash. But I'd forgotten the music also played when Sawyer actually watched this happen, and because this music wasn't used for the same scene in Season 1, it might be a new Sawyer theme instead. However now we've just seen 5x08, and now it seems to be a Juliet + Sawyer love theme: It plays on the submarine dock when Sawyer convinces Juliet to stay on the island, and it also later plays in the romantic scene where Sawyer picks a flower and gives it to Juliet.